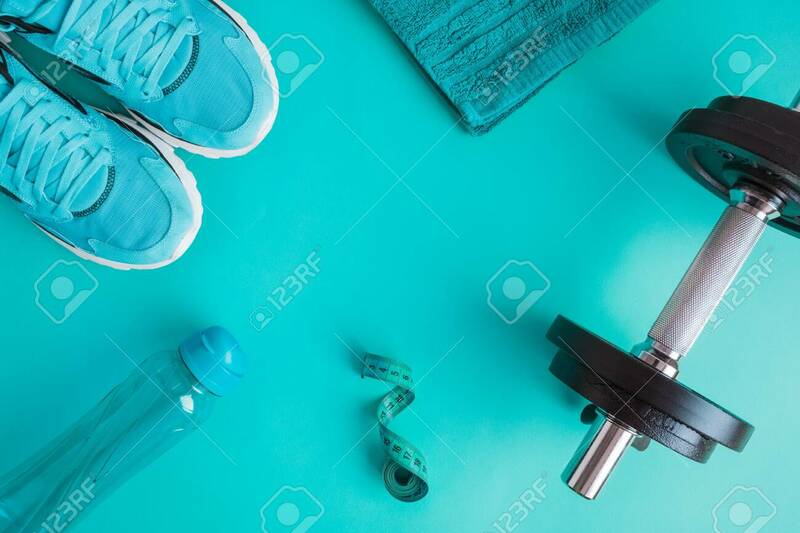 Flat Lay Of Fitness Or Bodybuilding Equipment On Blue Background. Space For Copy. Fotos, Retratos, Imágenes Y Fotografía De Archivo Libres De Derecho. Image 119040758. Foto de archivo - Flat lay of fitness or bodybuilding equipment on blue background. Space for copy. Flat lay of fitness or bodybuilding equipment on blue background. Space for copy.